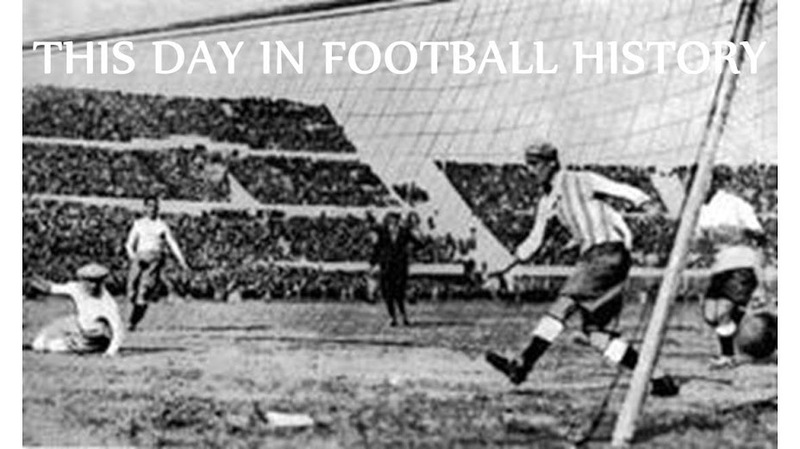 On 15 July 1952, Yugoslavia opened the Olympics with a then-record 10-1 win over India. Yugoslavia came into the tournament as contenders, having won the silver in 1948. Playing in Helsinki, they sought to solidify that status with a strong showing against India in the preliminary round, but few would have expected the result they got. Bernard Vukas (pictured) opened the scoring in the 2nd minute and, by the break, Yugoslavia were up 5-0 with goals from Rajko Mitić (14', 43') and Branko Zebec ( 17', 23'). The second half was just as impressive, with more goals from Vukas (62') and Zebec (60', 87'), who were joined on the score sheet by Tihomir Ognjanov (52', 67'). India's Ahmed Khan found the net in the 89th minute, but by then it was small consolation. Yugoslavia eventually reached the tournament's final, but lost to Hungary to take silver again. (After finishing in second in 1956, they finally won the gold in 1960). The scoreline against India was Yugoslavia's biggest margin of victory since a 6-0 win over Israel in 1949 and was the most goals they had scored since beating Poland 9-3 in 1947. They eventually improved upon it, however, with a 10-0 victory over Venezuela in 1972.